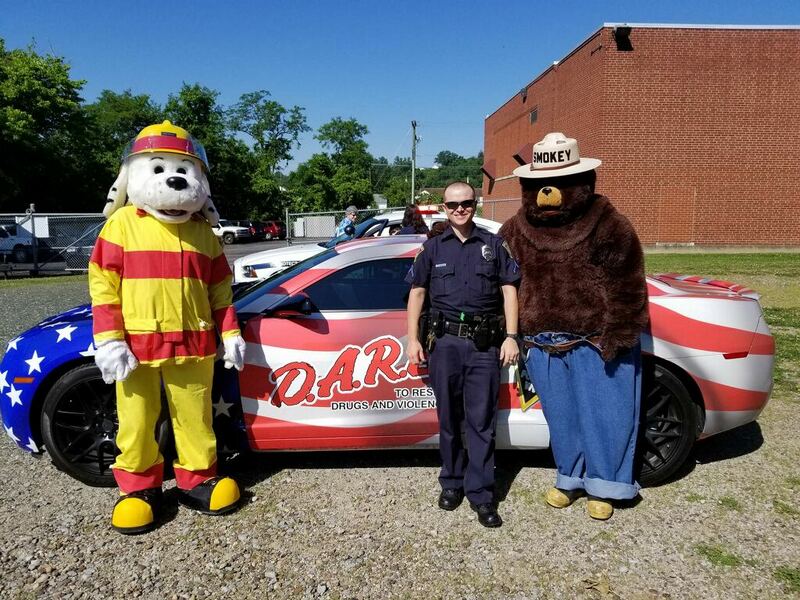 Last Friday, May 11th, 2018, the City of Parkersburg & the Parkersburg Tree Commission celebrated Arbor Day. With the help of the students with the Agriculture Program at the Wood County Technical Center, a tree was planted near the Center’s sign along Blizzard Drive. The students planted the tree and installed a barrier for a mulch ring around the tree. 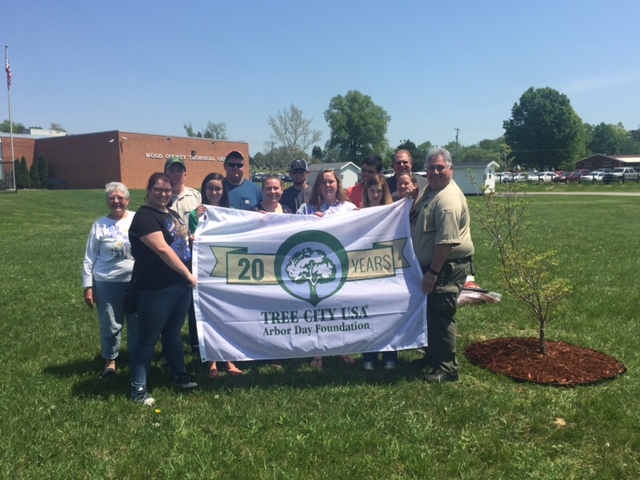 This year’s Arbor Day marks the 20th year that the City of Parkersburg was named a Tree City USA community. 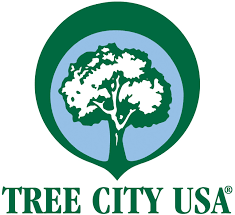 To qualify as a Tree City USA community, a municipality must meet four standards established by the Arbor Day Foundation and the National Association of State Foresters. Must have a tree board or department. Must document at least $2 per capita toward the planting, care and removal of trees. Must observe and proclaim Arbor Day. 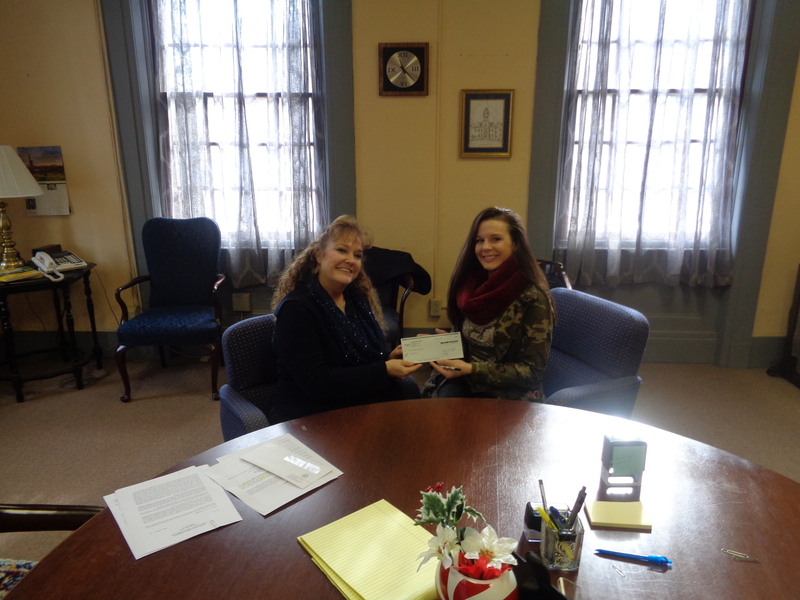 The City of Parkersburg and the Parkersburg Tree Commission again wants to thank the students and faculty with the Agriculture Program at the Wood County Technical Center for their continued help for Arbor Day and the service they provide to the community. The City of Parkersburg, through the use of Community Development Block Grant (CDBG) funds, offers the Minor Home Repair Program (MHRP). The MHRP seeks to provide homeowners who may not normally qualify for a traditional home equity loan with a grant to make needed improvements to their home to bring the unit closer to state and local building code standards. A qualifying applicant for the MHRP must be low-and moderate-income. For example, a family of four with a total household income below $32,640 would qualify for this program. 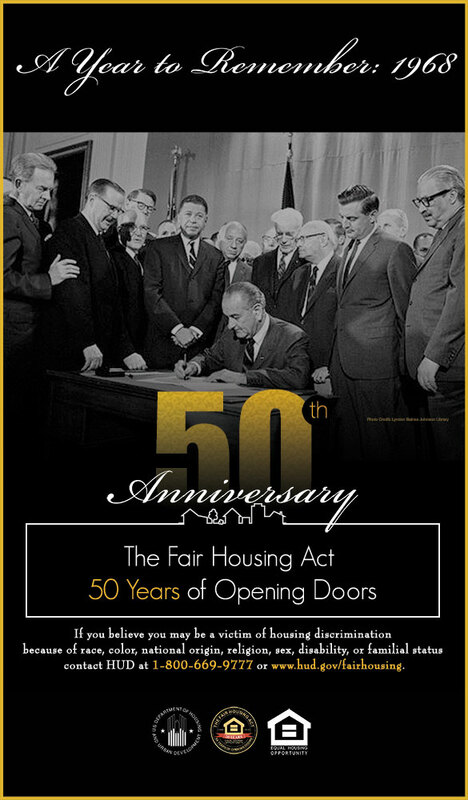 To comply with federal regulations, the dwelling unit must be located within the City of Parkersburg and be occupied as the primary and principal residence of the applicant. For more information click here, or call 304-424-8452. 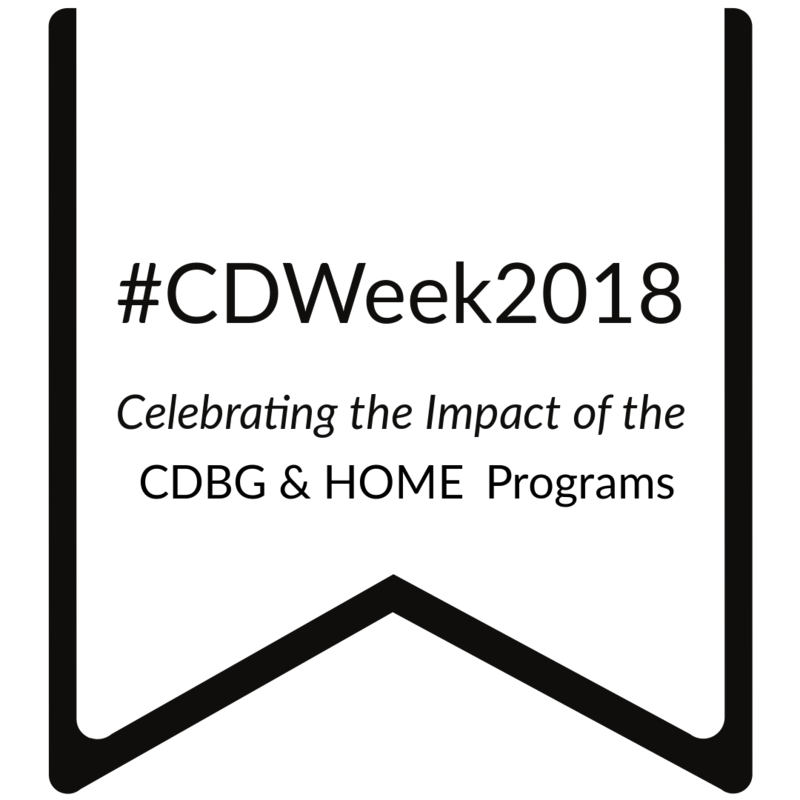 The Community Development Block Grant provides funding for critical public services, which includes assistance to the City’s Community Oriented Police Enforcement (COPE) Program. This program has operated since 1996 and was continued again in 2017. It is the mission of the Community Oriented Police Enforcement (COPE) Unit to work with all citizens to preserve life, protect property, and promote individual responsibility and community commitment. 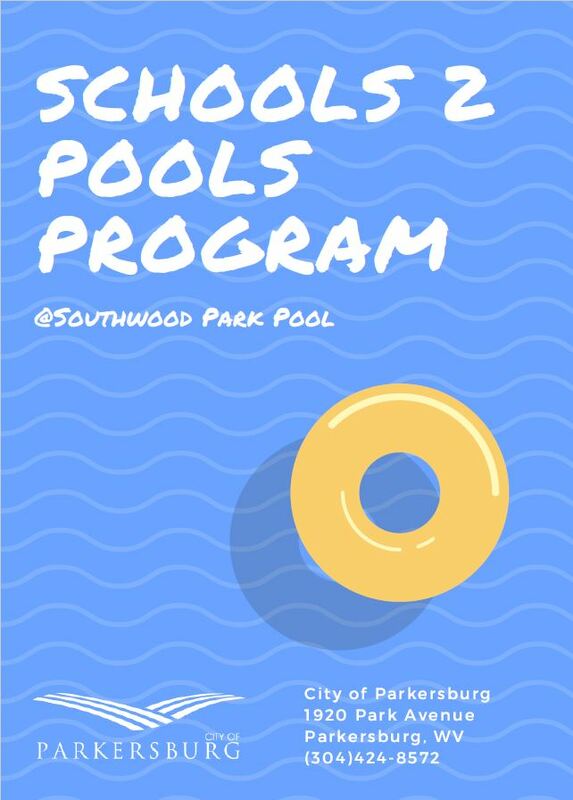 Our COPE Officer can be seen attending Neighborhood Watch meetings, addiction support groups, as well as numerous youth events throughout different neighborhoods. Funds are also used to support expenses related to neighborhood bike patrols. 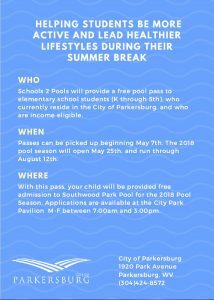 In 2017, the City of Parkersburg allocated $75,000 for this important program. The Down Payment Assistance Program provides assistance to residents of Wood County of up to $10,000 to help with the required down payment and closing costs of a first time home purchase. During the City’s first six months of offering the program, there have been over thirty inquiries, with four loans closed on up to $10,000 each processed for first-time home buyers. Three more applicants are in the final stages of closing on their home. 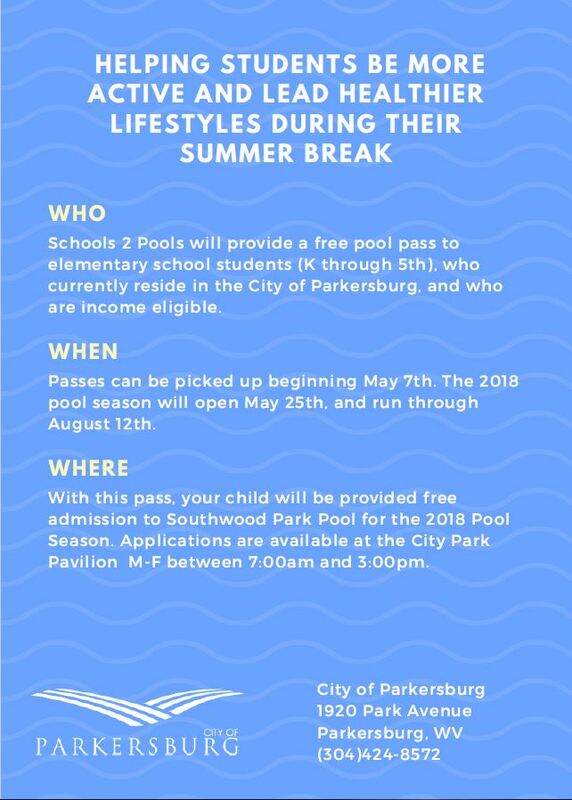 This program is made possible through the Parkesburg/Wood County HOME Consortium funding. 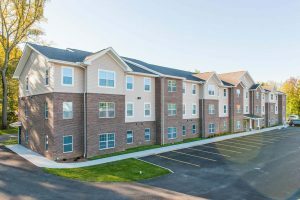 The 38 unit apartment building celebrated its grand opening on October 17, 2015. 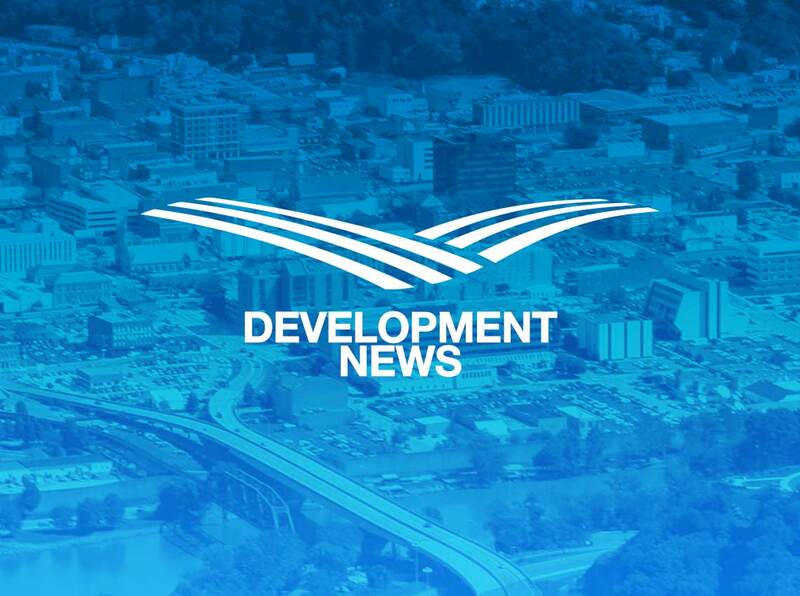 Through the Parkersburg-Wood County HOME Consortium, the City was able to leverage more than $6 million in private investment with $100,000 in financial assistance. 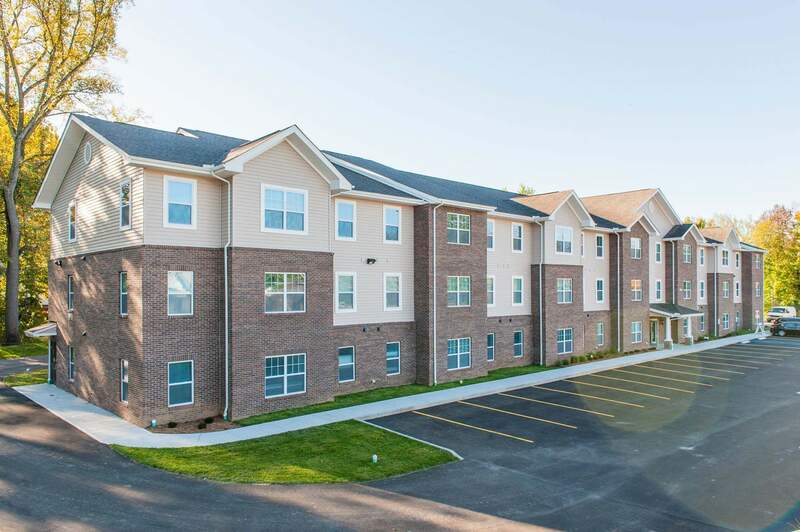 Worthington Creek Apartments was developed by the Miller-Valentine Group in Cincinnati, OH. The Community Development Block Grant program can provide assistance to local businesses that retain and/or create jobs in the community. One successful partnership was the new Marriott Townplace Suites in downtown Parkersburg. 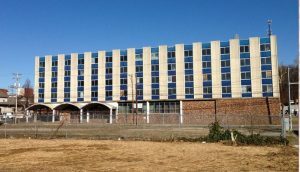 Working with Uptown Lodging, the City used $200,000 in CDBG funds to leverage more than $7 million in private investment for the renovation of the old Uptowner Hotel. What was once a vacant building for more than 20 years now positively contributes to the redevelopment of downtown Parkersburg. 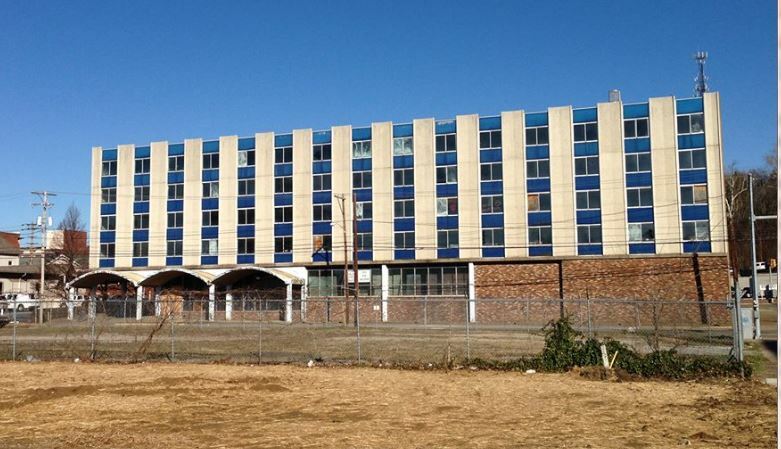 Furthermore, the new 80 room, all-suite hotel has created 18 full-time positions, all of which have positively improved the economic situation for low and moderate income individuals. 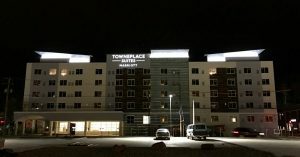 The Marriott Townplace Suites officially opened its doors on May 30, 2017. 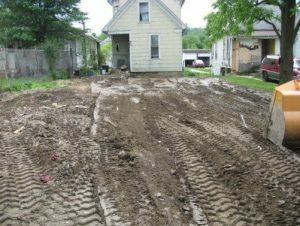 The Community Development Block Grant provides funding for critical public services, which includes assistance to the City’s CODE Enforcement Division. 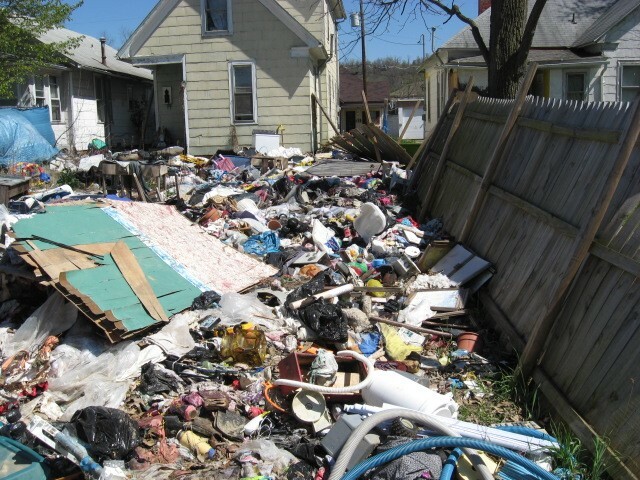 The mission of the Code Enforcement Division is to protect the health, safety, and welfare of our community by encouraging compliance with the Codified Ordinances of Parkersburg and International Codes; to enhance the appearance of neighborhoods and business districts to prevent blight, protect property values and enhance economic conditions. This level of service would not be possible without CDBG funding. 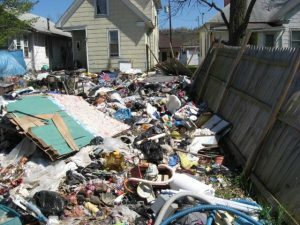 CDBG funding allocated $49,000 for one Code Enforcement Officer in FY17. Since July 1, 2017 this officer has reported 295 incident reports, which includes items like junk vehicles, tall grass, and minimum housing requirements.